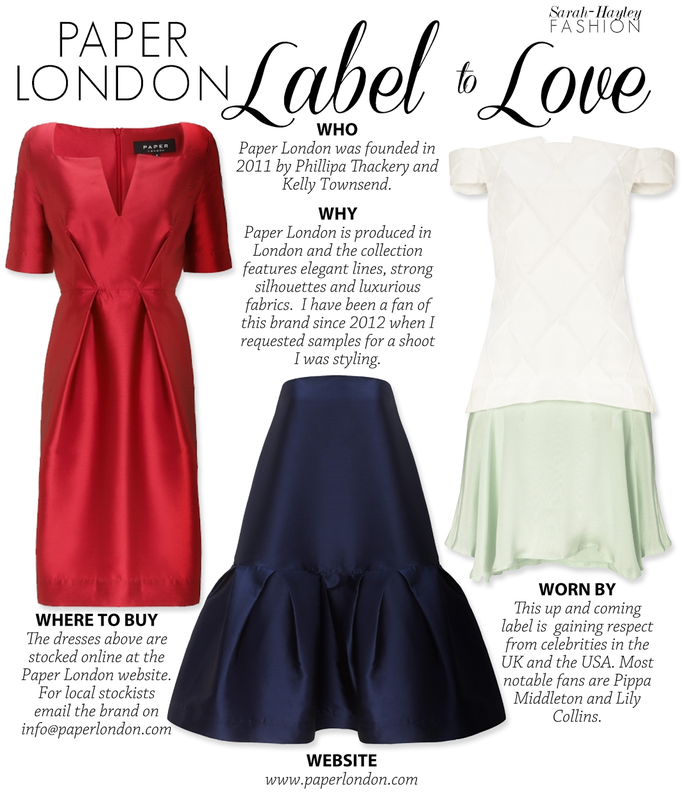 Label to Love - Paper London: An exciting emerging label. Paper London is one of the most exciting emerging labels. Established in 2011 although the brand is only three years old it has already found a signature style with a classic yet contemporary feel. I have styled my clients in a few pieces, one piece in particular which I loved was the monochrome Sandman Jacquard Coat from Spring/Summer 2013, which created a bold graphic look. What I find most exciting about Paper London is their astute use of colour across the collection as a whole. I am looking forward to seeing many more collections.